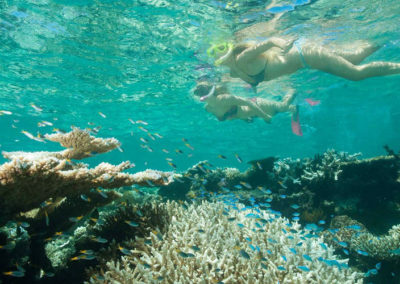 Join this full day Great Barrier Reef cruise to explore 2 amazing coral reef locations. Visit Norman, Saxton or Hastings Reef to see spectacular coral formations and curious marine life at this natural wonder of the world. Meet your friendly skippers at the Cairns Reef Fleet Terminal where you board the comfortable, modern, spacious vessel to travel out to the reef. Enjoy the scenery on the journey out to the first reef location. This tour includes all snorkelling equipment as well as FREE guided snorkelling tours if you want extra assistance and to be shown the best parts of the reef site. 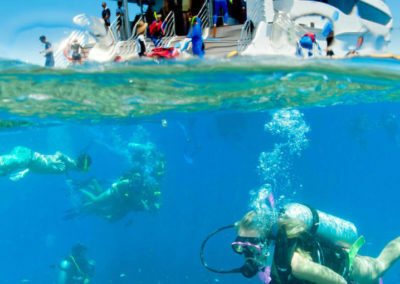 You will also have the opportunity to board a semi-sub to view the coral from above without even getting wet. Crew will provide you with interesting and educational information throughout. A BBQ lunch is served on board with fresh seafood, steak and salads. In the afternoon enjoy fruit, a cheese platter and a glass of complimentary wine on your return journey back to Cairns. 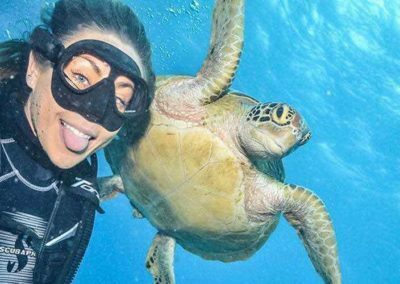 Divers will be pleased to know they can also take part in a introductory or certified dive on this cruise. A $20 reef levy is required to be paid on the day of the cruise at departure. 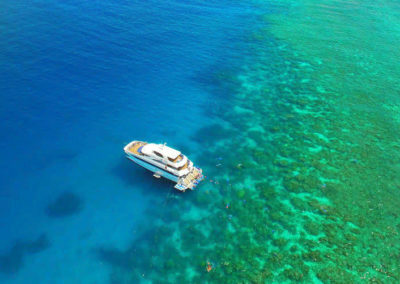 This cruise is exceptional value for money with a visit to 2 reef locations in one day plus meals and snacks throughout the day perfect for both snorkelers and divers. 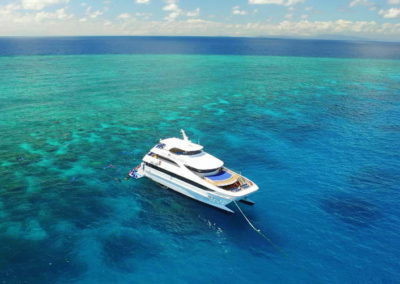 Don’t miss out on this amazing Great Barrier Reef snorkel and dive cruise. Book online today! Want to view a full range of Great Barrier Reef tours, activities and other experiences?